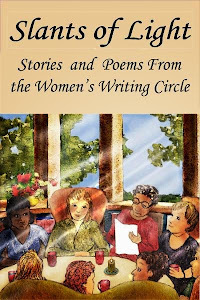 Women's Writing Circle : Memoir? True Novel? What's In a Genre? Memoir? True Novel? What's In a Genre? 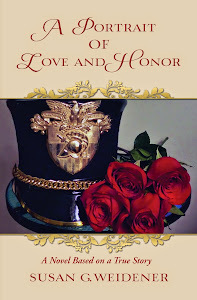 I met a friend for coffee and explained I was taking excerpts from my late husband’s memoir about West Point and putting them in the framework of a fictionalized love story. Since I had changed portions of his story from first to third person, that all important genre classification eluded me. I thought the new book might fall under true life novel, a category I first saw when Jeannette Walls entitled her book, Half Broke Horses: A True Life Novel. Walls, author of the memoir The Glass Castle, recounts the life of her resourceful and resilient grandmother, but called it a true life novel since she had to imagine and write without the accuracy of interviewing her grandmother, the main character in the book. Perhaps literary nonfiction? Much of John's memoir takes place during the Vietnam War years at West Point, although his is not a story about war, but a coming of age story. What is a memoir? I found this. It is a true story written by the author about their own life. For the journalist like Ernest Hemingway, I suspect it never would have crossed his mind to change Picasso or F. Scott Fitzgerald’s name in his memoir A Moveable Feast. Nor can I imagine Joan Didion in her classic memoir on mourning, The Year of Magical Thinking, changing the name of her husband, John Gregory Dunne, yet many memoirists do change names, not just peripheral characters but family, including Elizabeth Gilbert. In Eat, Pray Love she changed the name of her future husband to Felipe. A page from John's manuscript. 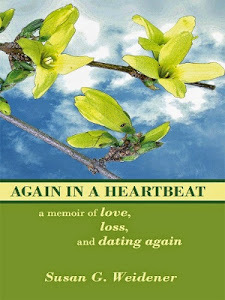 When I wrote Again in a Heartbeat, a memoir of love, loss and dating again, I did not consider changing my husband, my sons, or my parents' names. As for peripheral characters – I changed names as much to protect them as myself from possible liability, although everything I wrote happened and it was the “truth of my story,” quoting that popular memoir phrase. I did the same thing in Morning at Wellington Square. The question often asked is why some writers start with memoir and move to fiction. For me, the answer is simple. Fiction offers more creative leeway. So . . . how to solve the all important genre classification of my new book and how it will be shelved in libraries? Would John have cared if his story is in first or third person or that I took the creative license of interweaving it with a love story? Would he care if the book is classified as memoir, literary nonfiction, true life novel, fiction? I suspect John would say to me "stop worrying." In fact, he and I worked on a second version of his memoir changing all the names, which included changing his from John Cavalieri to Jay Scioli. When he queried publishers, he called his story a novel. 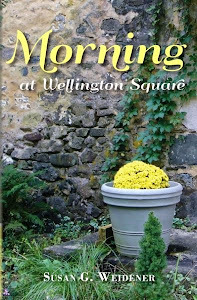 Getting it out there for readers to enjoy, appreciate and be moved was always his intent. Like my friend said. Engage the reader. Tell a good story. That's more important than anything. Suggestions, comments? Where do you stand on genre? Congratulations to Carol Bodensteiner. She was last week's winner in our random drawing of Nina Amir's The Author Training Manual.